The UC Agriculture and Natural Resources Agricultural Issues Center (UC ANR) has released two new studies on the costs and returns of producing garbanzo beans (chickpeas), in the Sacramento and San Joaquin Valleys. 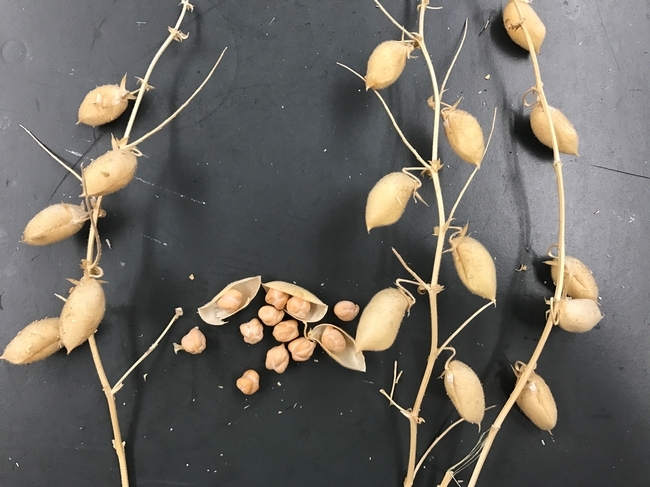 Although acreage is relatively small (about 10,000 acres), garbanzos are an important crop because California growers produce the large, cream-colored seed for the canning industry. Canned garbanzos are often used for garnishes for salads. 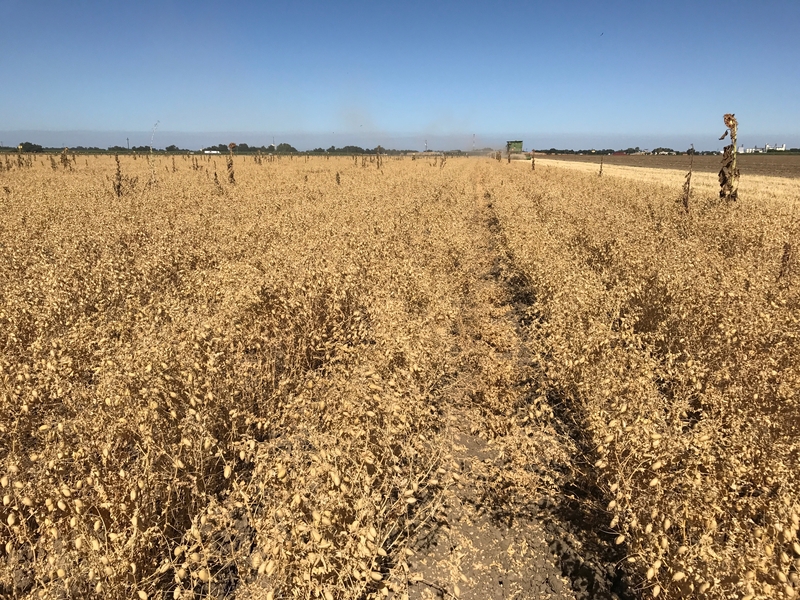 The studies estimate the cost of producing garbanzo beans on 200 acres as part of a row crop rotation, using sub-surface drip irrigation. A 3-row bed tillage implement shallowly chisels, tills and re-shapes the beds, avoiding disturbance of the buried drip tape left in place. Planting of treated seed (for fungal and seedling diseases, Ascochyta rabiei, Rhizoctonia and Pythium), into residual soil moisture occurs in December. Seeding rates for the garbanzo beans are 85 pounds per acre. Input and reviews were provided by UC ANR Cooperative Extension Farm Advisors and other agricultural associates. 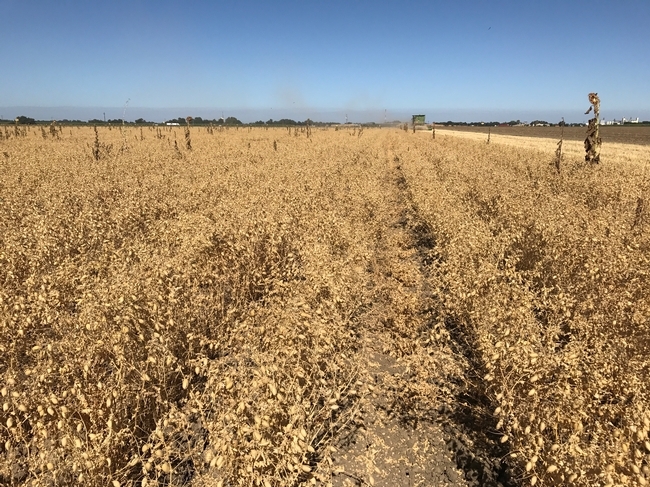 Current costs for the garbanzo bean crop were used, including material inputs, cash and non-cash overhead. A ranging analysis table shows profits over a range of prices and yields. Other tables show the monthly cash costs, the costs and returns per acre, hourly equipment costs, and the whole farm annual equipment, investment and business overhead costs. The importance of these studies right now is that they are currently being used to help secure USDA crop insurance for garbanzo production, expected in 2020. These studies and other sample cost of production studies for many commodities are available through UC ANR They can be downloaded from the UC Davis Department of Agricultural and Resource Economics website at http://coststudies.ucdavis.edu. Harvesting garbanzo beans, Yolo County, 2017.